Packing Size: 17.72" x 39.37" x 6.69"
Petit Promostand is an outstanding counter for exhibition products demos and sample distribution. 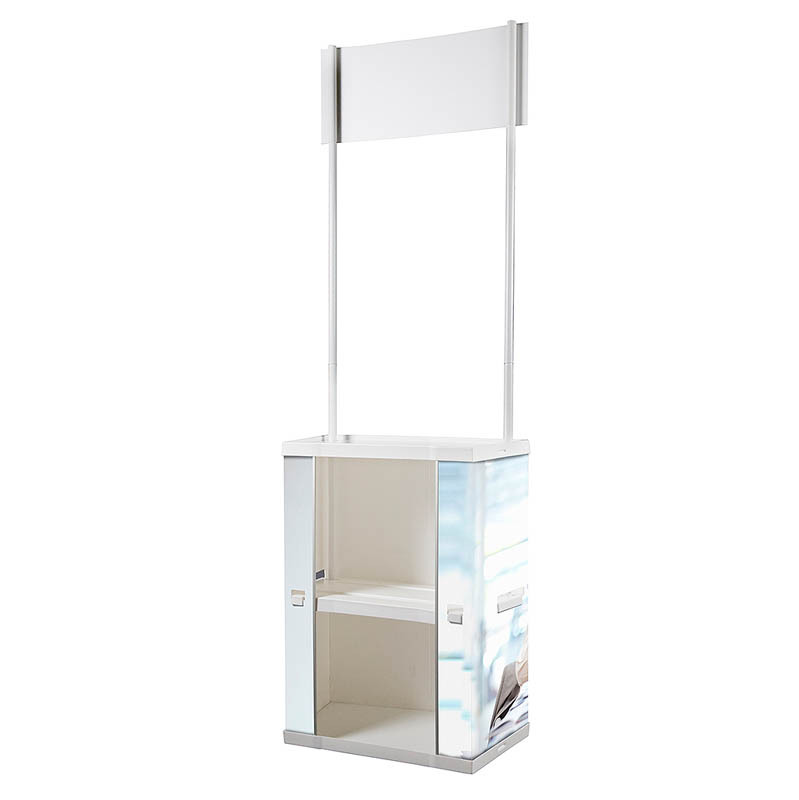 It is portable, lightweight and has white plastic material. Easy to assemble with no tools required. 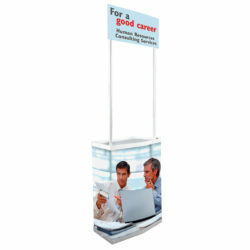 Front panel & top header offer space for poster printing and decoration. 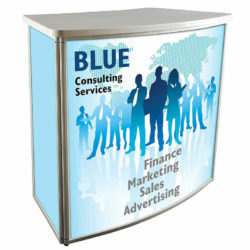 Designed as a foldable mobile unit, it quickly fits inthe corner of a car.